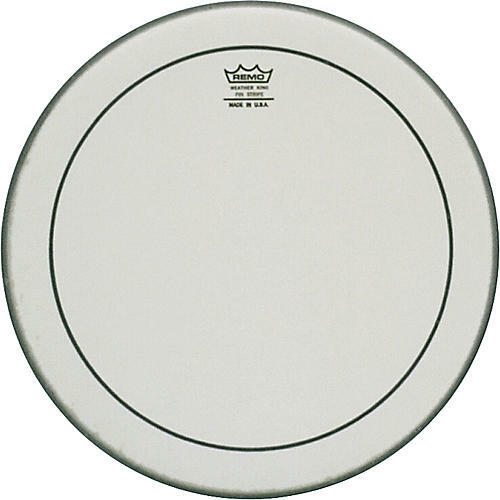 Open Box Remo Marching Pinstripe Drumhead 8 in. From the inventor of the first synthetic drum head, Remo Belli, come the heads that proudly bear his name. Remo offers the widest variety of sizes, coatings, weights, and styles of any manufacturer. Remo's Marching Pinstripe drumhead retains the tonal quality of the traditional Pinstripe while providing added tuning capability and endurance. In 6", 8", 10", 12", 13", 14", and 16".